It is no secret that Mark Zuckerberg is one of the few great success stories in the world. The Facebook founder prides himself as a self-made billionaire who is among the world’s top ten rich list. Forbes puts his net worth at $49.6B as at November 21 2018. Interestingly, Mark Zuckerberg started Facebook back in 2004 in his Harvard dorm room. At the time, it helped students to match faces and names of fellow students. Later, students would begin to use it for socialising and connecting with each other. Even when the Winklevoss twins sued Facebook for stealing their idea, Zuckerberg still sailed through. In particular, Tyler and Cameron Winklevoss claimed in a lawsuit that they originated the idea of the social network. The twins attended Harvard, just like Zuckerberg and they created a primitive social network called ConnectU. Interestingly, the lawsuit is one among the many challenges Zuckerberg faced in his initial years as Facebook CEO. In particular, how he sailed through the obstacles is one of the many secrets that this article will share. Zuckerberg’s achievements are one reason he is among the few billionaires whose life stories appear all over the media. Interestingly, in all the features and books talking about the Facebook founder, some aspects stand out. All of the resources speak about the secrets to Zuckerberg’s success. In the same spirit, this article will outline some of the principles which he sticks to. The tech industry is one of the most breathtaking in terms of how fast it changes direction. Therefore, staying afloat is not only a goal but a necessity. In a Question and Answer session on his Facebook wall, the CEO said that he focuses on his mission more. Zuckerberg believes that the hours spent in the office are less productive if you do not focus on your mission. According to him, your mission in life deserves more attention than any other activity. In essence, the Zuckerberg philosophy is very apt in the context of investing in Singapore. The investment scene is quite breathtaking in terms of complexity and dynamism. Therefore, it becomes necessary that you develop a philosophy which will guide your investing life. What focusing on the work means is that you first have a mission/philosophy which guides your activities. For instance, your philosophy could be a long-term investment strategy. This involves buying a stock and holding it for a considerable time to wait for a better time to sell. In investing lingo, this is called value investing. Mark Zuckerberg is popular for a culture that he began over two years ago. In particular, he began setting annual goals where he would focus on achieving a single objective in one year. Beginning in 2010, Zuckerberg endeavoured to learn mandarin and be able to communicate well in the language. Well, you could easily say that maybe he wanted to be able to better communicate with his wife. Whatever the case, the fact that he wanted to solely focus on the task is typical of individuals hungry for success. In 2015, he announced to the Facebook community that he intended to read a book in every two weeks. Interestingly, he said that he would do that for the whole year. To demonstrate his commitment to the goal, he created a Facebook page that tracked his progress. Notably, the annual goals help the Facebook CEO for self-improvement. This is a very important theme that investors in Singapore can do well to adopt. Focusing on the investment portfolio without time to indulge your other tastes can turn you into a zombie. Further, too much focus on the investment without personal development has the tendency to make life monotonous. Therefore, this “change in diet” via annual goals is an important aspect of a successful investor. Facebook started out as a primitive social forum which would compare faces and decide on the most beautiful. Later, Zuckerberg would take the idea a notch higher when he created a platform where people would socialise. However, Mark did not want it to be like the ubiquitous dating sites. In 2006, Mark and his team at Facebook took another major risk that would alter Facebook as users knew it. The team launched the News Feed, a feature that was novel and users had no experience with it. To Facebook, the move was the biggest risk yet. However, the risk paid off hugely as it attracted many more users to the platform. Subscribers liked the fact that they could get all the news they desired without having to log out of Facebook. Taking huge bets is one aspect of investing that savvy investors know all too well. It is common knowledge in the investing circle that the higher the risks you take, the higher the returns. Therefore, you must, as an investor, be ready to take huge risks. Being at the helm of a social media giant is not an easy task. Interestingly, Facebook has faced a lot of scandals with the highlight being the Cambridge Analytica scandal. However, the CEO is still going strong despite the developments. 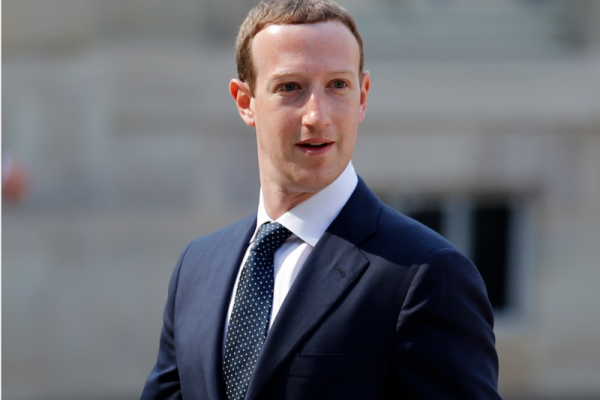 Interestingly, Zuckerberg is currently facing calls for him to step down as CEO and Chairman of Facebook. However, Zuckerberg is adamant is still going about the business of running the world’s biggest social media platform. There are a lot of parallels in Mark’s story and the exercise of investing in Singapore. It is common to face a lot of adversities in the form continuous losses and bad bets. However, your success will depend on how strong you remain and continue to forge ahead.